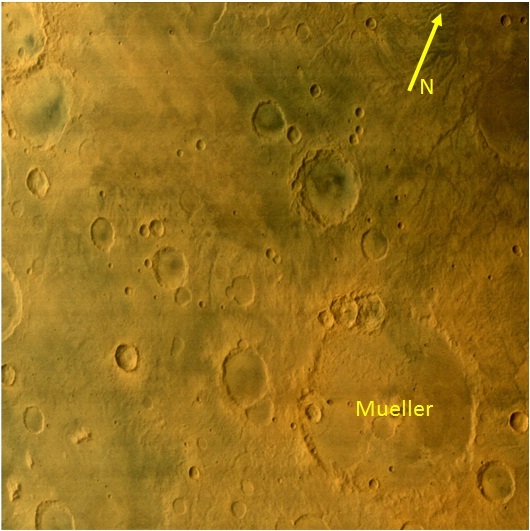 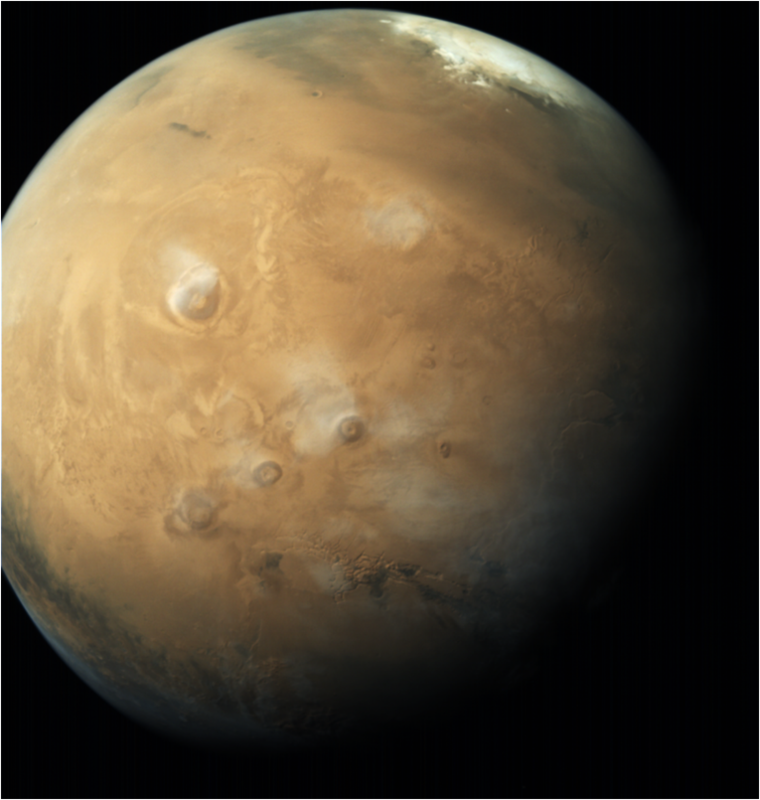 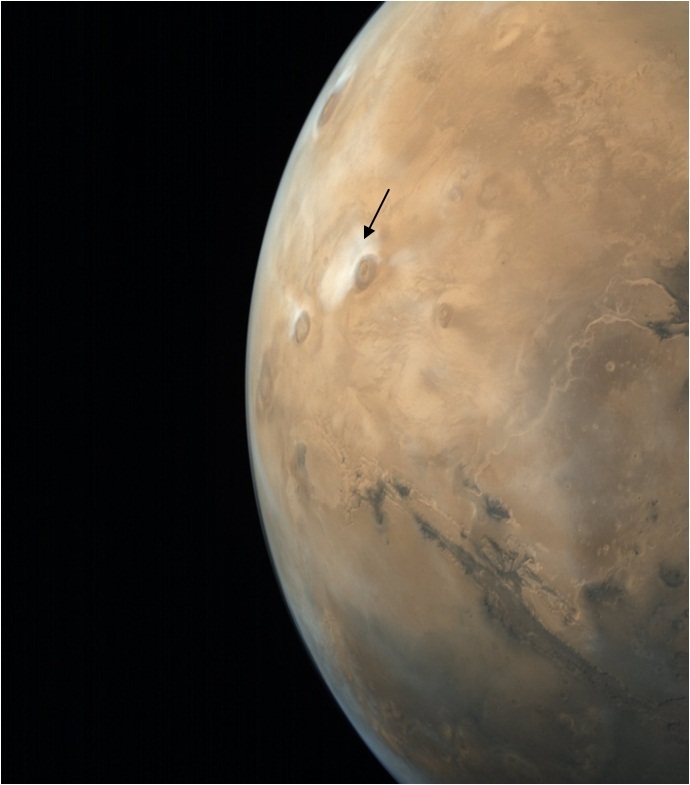 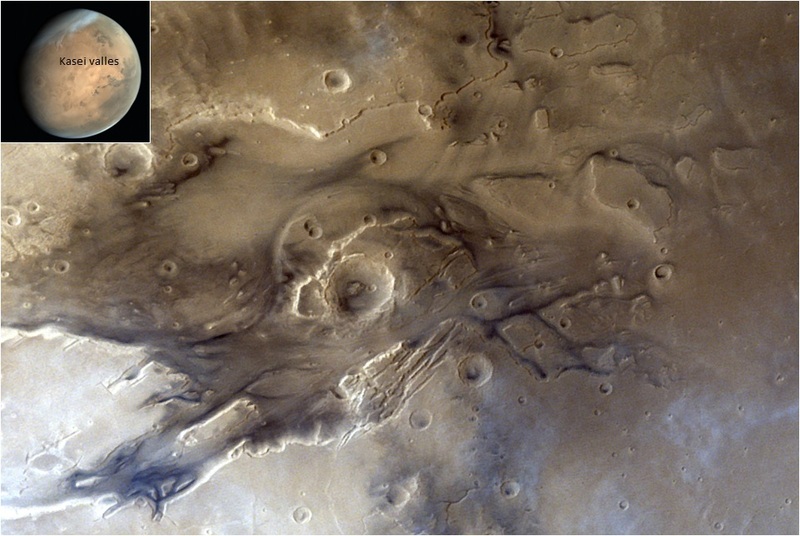 Region around Comas Sola crater was taken by Mars color camera (MCC) on 03-02-2015 at a spatial resolution of 179m from an altitude of 3453km. 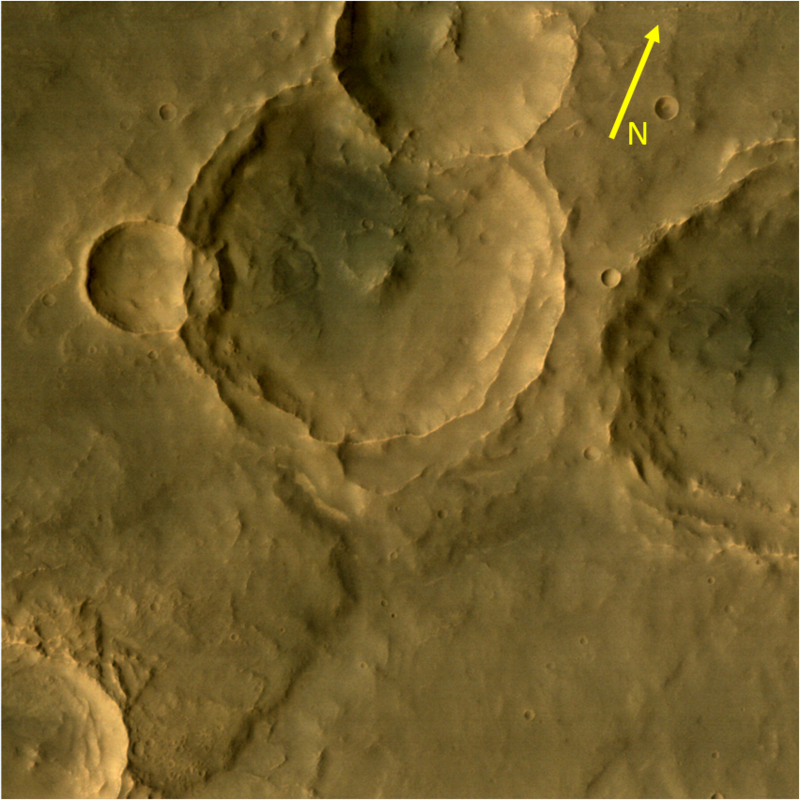 A set of regional grabens cutting across various craters,south of Comas sola crater are seen clearly in this image. 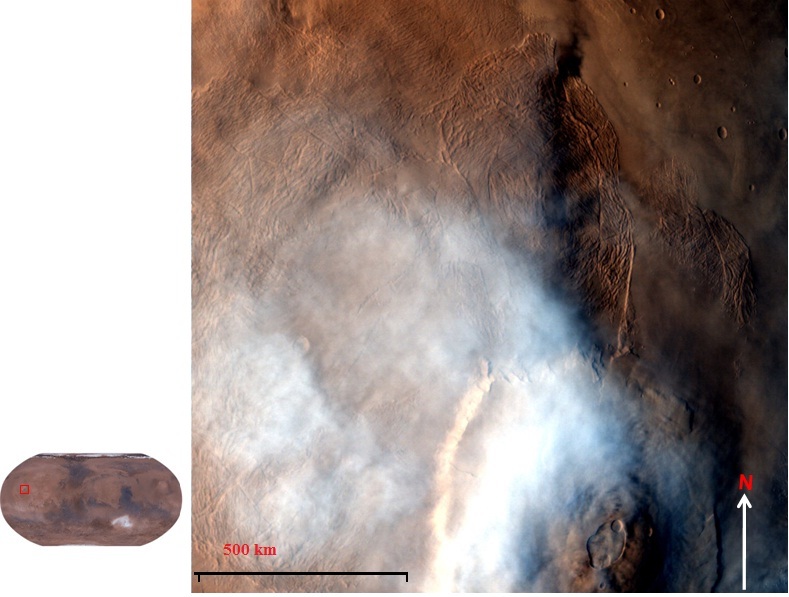 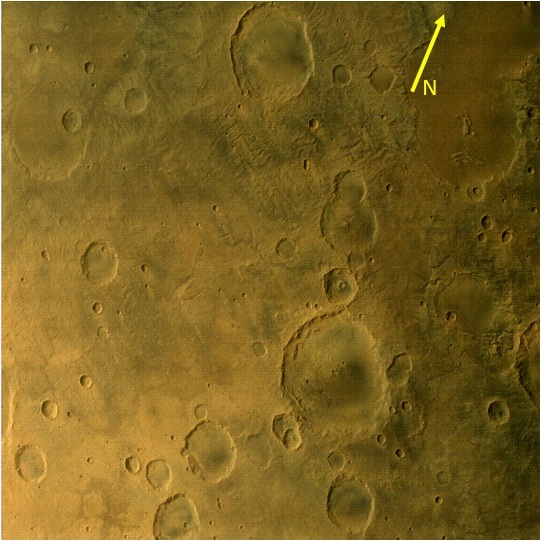 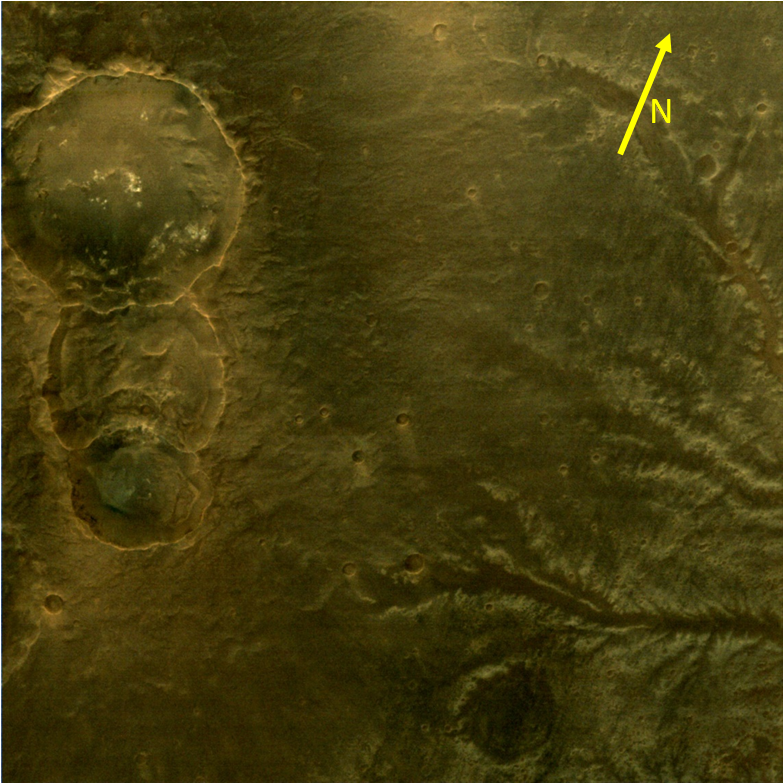 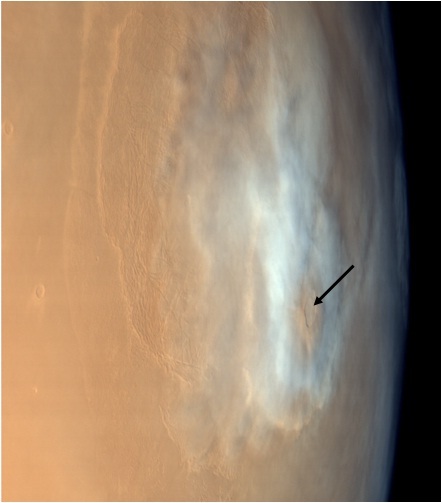 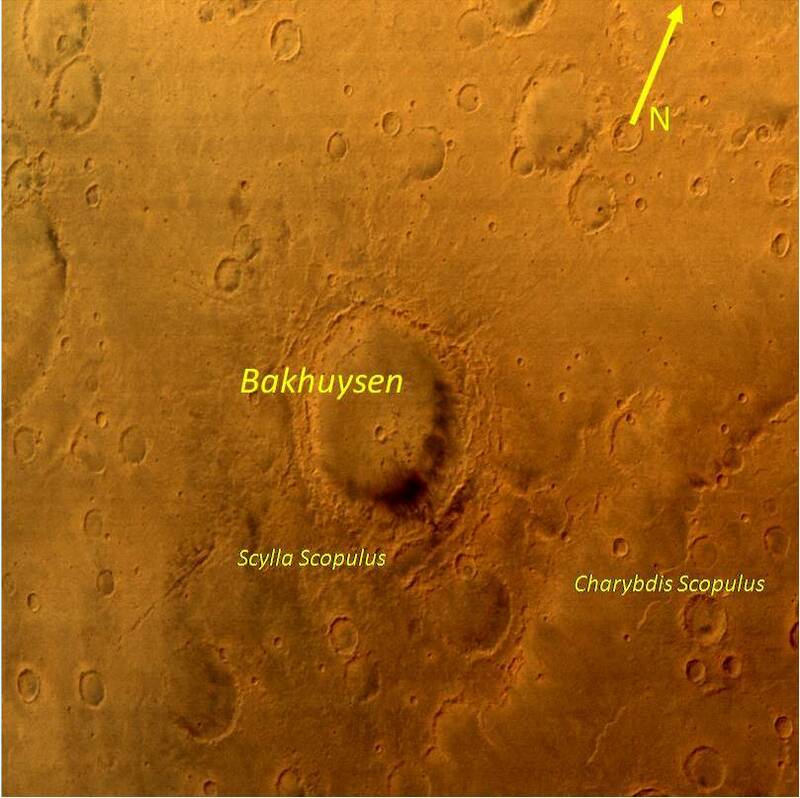 Craters of various dimensions and wind streaks in bottom right side portion of the image are also clearly seen.